Quit the Late Night Snacking! Are you a late night snacker?! Late night snacking is a common problem and can throw off your weight loss. Here are some ways to help you stay on track and quit that late-night snacking which may be sabotaging your health and fitness goals! 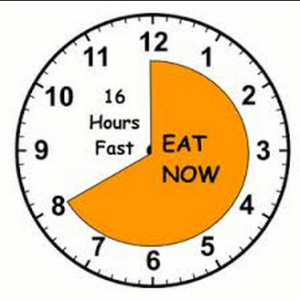 Adjust your meal times and eat dinner later. Instead of eating dinner at 6pm, try for 7 or 8pm so that by the time you finish eating, you don't have much time before bed to get hungry again! 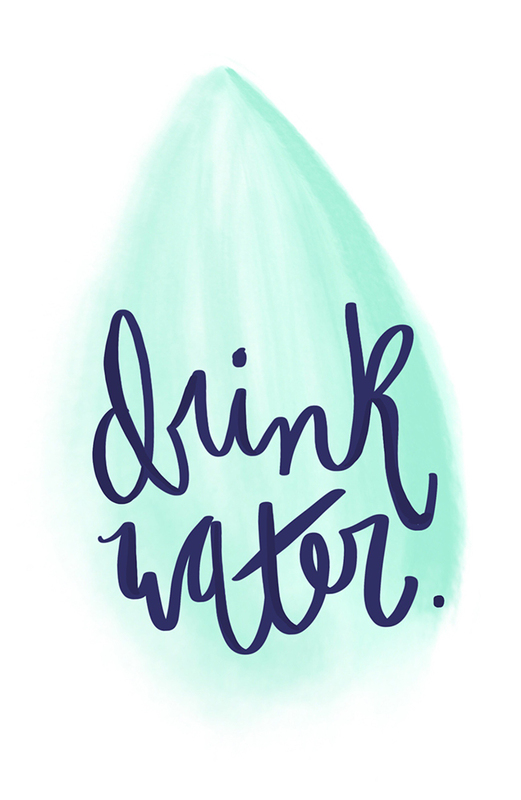 Drink lots of decaffeinated tea, sparkling water, or just plain ol' water! Sometimes we are just thirsty. Try filling up on calorie free beverages before you opt to eat snacks before bed. Be sure to include plenty of fiber in your diet, emphasizing a higher fiber dinner to keep you fuller longer. This will prevent you from wanting to snack after dinner. Decide an eating window that you won't eat outside of. This is a variation of intermittment fasting, where you block off a certain amount of hours per day to eat and a certain amount to fast. Apply this concept to your night time routine - make a rule for yourself, I won't eat past ___pm and try sticking with it! Stay busy and distracted! Most times we are just bored and so our instinct is to eat because it's enjoyable and will fill the time. Instead of heading to the kitchen, pick another task. Some things I like to do: call a friend and go for a walk (killing 2 birds with 1 stone AND you burn calories! ), do some reading or studying, do some housekeeping or clean your room, or surf the web/your phone. Wait 20 minutes. Sometimes that's all you need to fight off late night cravings. Distract yourself for a bit and I bet you that the urge to snack will dissipate! Keep healthy options in your fridge/cabinets so you aren't tempted to indulge in a sugary overload right before bed. Do you guys have any other tips that have worked for you? If so, post below!! Most people neglect proper nutrition and training while dieting so that most of the weight they lose is lean body mass (muscle), not fat. Most diets focus on eliminating certain food groups or certain ingredients, such as the paleo diet, low or “no” carb diets, or ketogenic diets. The problem with restriction and elimination is that more often than not, you will reintroduce those foods back into your diet, usually in large amounts because you have been depriving yourself of them, which in turn shocks the body. When you introduce a calorie deficit at the start of a diet, you will lose weight initially but it usually slows down over time and sometimes stops completely. That is why the law of energy balance, which states that if you consume fewer calories than you burn you will lose weight, is sometimes deceiving. This is because the math equation changes as you progress in your weight loss journey: as your body gets smaller, you need fewer calories to support it. In most cases, people fail to adjust their calorie intake to match their lower energy needs and they don't train or nourish themselves properly to maintain muscle, and then they get frustrated because their fat loss has stalled or plateaued. The truth is that your body has adapted to the calorie intake and in order to see fat loss at the same rate, you will need to drop your calories a bit more, and begin to incorporate cardio, if you haven't already. This can lead to a frustrating downward spiral, especially if you have no idea what your baseline calorie number should be! Your body can't tell difference between aggressive dieting and starvation. Your body’s starvation response is what keeps you alive in the rare instance that you have no access to food. When your body senses a severe drop in calories (like when dieting), your survival response kicks in. Even though dieting is a choice you make, not a life or death situation, your body thinks to itself, "it looks like this is all the food you're going to be getting for a while, so you better stop burning calories and save your energy." This ends up triggering your body's defense mechanisms that protect you from starvation and hold onto the weight that you so badly want to get rid of weight. Keep these tips in mind in order to effectively transform your body and burn FAT not muscle. Maintain your muscle, which is a fat-burning secret weapon. The more muscle you have, the more calories you burn at rest and while exercising. Cut calories conservatively. Aggressive diets are not maintainable. Burn the fat, don’t starve it. Train properly! Get off the treadmill and incorporate weightlifting at least 3x a week. Lift heavy weights and focus on increasing your strength! This will ensure that you are reshaping your body and boosting your metabolism. This will allow you to eat more AND still lose fat. The fastest way to transform your body is to eat more and move more, NOT eat less and move less. Lose weight at the right weight for YOU. You will be the only one who can tell what is possible and realistic. If your calorie deficit is too big, you will constantly be hungry, thinking and obsessing about food, and have decreased energy levels. Find a deficit that works FOR you, not AGAINST you. Healthy fat loss should be anywhere between .5-2lbs/week, depending on your body type. Inserting higher calorie days occasionally or cycling between high and low calorie days provides a physical and physiological break and actually optimizes your hormones and spikes your metabolism. Practice a dieting technique that works for YOU! I personally practice flexible dieting, which allows me to include my favorite foods in moderation and have no restrictions. I have ice cream almost every night. If I crave something, I eat it, and it prevents me from binging later on. Tracking my macros has allowed me to heal my relationship with food not associate negative words with any foods, like "cheat" or "unhealthy." If you have more questions about fat loss or want to talk to me about the best and fastest way to transform your physique, send me a message and I'd be glad to schedule a 15 minute phone call with you! 10 Hacks to Successful Meal Prep! Successful meal prep happens when you look forward to eating the meals you create! 1. Pick your day to meal prep! Make meal plan manageable by planning out the 1 or 2 days a week to prep food for the week. I prefer Sunday afternoons and if I need an additional day, Wednesday nights. 2. Invest in tightly sealing food storage containers that are the RIGHT size for YOU. It will give you a perfect solution to portion sizes and ensure your food won't spill all over the place! 3. Scout pinterest or your favorite cookbooks and find 1-2 healthy meals to make for the week! Click the image below to get access to my favorite healthy recipes, and feel free to follow my Pinterest board! The more the basic the recipe, the longer it will last in your fridge, so aim for whole foods and staple items. Aim for making meals that have 1/4 plate lean protein, 1/4 plate starchy veggie, 1/2 plate fibrous veggie! 4. Stick to your grocery list. Go to the grocery store with a plan or a list, and get those things only! I like to write down all that I need and go to the store with a purpose. The only time I like to buy outside of my list is when things are on sale in the fruit/produce area! It also great to cook with veggies that are in season. 5. Chop/cook/spiralize veggies in advance! This is a LIFESAVER! On Sundays, I chop up my lettuce, my squash and zucchini, and cook my frozen vegetables, that way I don't have to take out my cutting board every night and waste time washing, chopping, and slicing veggies. I put them into clear separate bulk containers so I can see what is in them … and then my fridge turns into a mini-Chipotle! It's a huge timesaver especially on weeknights when all you want to do is put a bowl of food in the microwave and eat it! 6. Cook a huge batch of quinoa or rice ahead of time. Leave it in a clear container so you know what's inside and take a necessary portion out for dinner! Top with tons of veggies and a portion of lean protein for a homemade burrito bowl, without the Chipotle prices! I eat this almost every weeknight and can switch up my toppings as I please so I never get bored. 7. Cook your protein ahead of time in a crockpot or if you only have 20 minutes, boil your chicken and make healthy chicken salad! Take advantage of cooking methods that allow foods to excrete natural juices that you can use to season everything else in your meal without the extra calories. 8. Bag up smoothie ingredients. Ensure you don't add too many unnecessary calories to your smoothies by make pre-packaged smoothie bags and throwing them in the freezer. This is a super easy on-the-go way to get a smoothie without paying an outrageous amount for it! 9. Use mason jars for salads (or any meals for that matter)! Not only are they pretty, but they are practical, microwave safe, transportable, and air-tight. The vertical shape makes them great for salads because the dressing is at the bottom and the greens are at the top ensuring you won't have a soggy salad by the time you get to each lunch! 10. Keep your eyes on your goals! Every time you are tempted to eat outside of your meal prepping, think about the health, fitness, and financial goals you have. Meal prepping will save time, quicken your results, and the more you do it, the faster you will get at it. I have narrowed my meal prep down to 90 minutes, 1 time a week!! I encourage you to start now and you'll be on your way to success not only in the kitchen, but you will see results in the gym much faster if your diet adheres to and supports your training! Drop hundreds of calories from your FAVORITE meals! There are so many ways to turn your favorite savory or sweet dishes healthy. Save yourself thousands of calories by swapping out traditional ingredients for healthier ones. Below is a list of alternatives for everything high calorie, from salad dressings, maple syrup, pasta sauces, butter, oil, and especially things laden with tons of hidden calories. The amount of sugar and fat in the American diet has increased tremendously, as have the rates of Type 2 Diabetes and obesity. Currently, 66% of the population is overweight and 34% of the population is obese. Those numbers are not only scary but continue to rise steadily. A way to address overeating is to remove the excess sugar and fat from your diet through healthy substitutions! See my recommendations below for ways to keep your favorite dishes in your diet, while eliminating all of the unwanted and unnecessary calories. Food should be fun, and calories shouldn't limit you to not enjoying your favorite foods. Hope you enjoy my suggestions and happy eating!! I almost never bake with mayo, butter or oil strictly because of the numbers listed above! Save yourself literally thousands of calories and enjoy the numerous benefits of avocados. They are packed with healthy fats, loaded with fiber, and will leave you with a softer and chewier texture if you use it to bake. Always use a 1:1 substitution (1 cup of avocado instead of 1 cup of butter or oil). Another tip for baking with avocado: reduce oven temp by 25% and increase your baking time by a few minutes in order to prevent your baked goods from browning too quickly or caving in! YUP! There's THAT many calories in sugar. Next time you're baking, opt for unsweetened applesauce, which will save you hundreds of calories and you won't be able to tell the difference. You can substitute the applesauce for sugar in a 1:1 ratio in recipes, but you must reduce the liquid in the recipe. Usually reducing the liquid (water, milk, etc.) by 1/4 will be fine. Save yourself the sugar calories and order seltzer or soda water with your mixed drink at the bar. Top it off with a lime or lemon for the extra punch! Unsweetened almond and cashew milk is a great alternative to cow's milk in recipes. It will save you 70 calories per serving, and when used in baking or cooking, you won't be able to know the difference. Save yourself hundreds of calories by making this substitute! Use a veggie spiralizer or a mandoline to make long, thin noodle-like slices of zucchini. Or, stab holes in a spaghetti squash and put in the microwave for 8-10 minutes, depending on the size. These veggies are super low in carbs allowing you to eat more and not feel guilty, and also contain much more fiber leaving you more full! Mix 1 frozen banana with a 1/2 cup of almond milk in a blender or food processor until creamy.. this will leave you with an incredible concoction commonly referred to as nice cream! 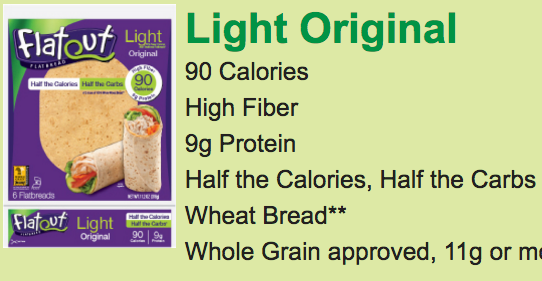 This alternative is fat-free, contains 3g of fiber and will leave you feeling satisfied and guilt-free. You can add cacao powder or other berries to the mix in order to achieve the flavor you're craving. Use greek yogurt instead of sour cream in your recipes and you'll save yourself a TON of unnecessary calories. You won't be able to tell the difference and the texture is very similar. Mayo is mostly all fat and adds a good amount of calories to any sandwich! Sub out mayo for mustard and save yourself the artery clogging saturated fat. If you are craving mayo, opt for Walden Farms' mayo, they have plain, chipotle, honey mustard, ranch and pomegranate mayo! Use lettuce to wrap your tacos or go bunless on your burger or chicken sandwich and enjoy the side of fries. Life's about balance after all! Lettuce is almost calorie-free.. so why not wrap your bun in lettuce which still gives it the crunch, but saves you between 200-250 calories! Always opt for ground turkey when possible, which spares you loads of unnecessary fat. I love to season mine with McCormick's Perfect Pinch southwest seasoning. If you don't want to splurge and spend the extra few dollars to buy extra lean 99/1, definitely go for the 93/7 ground turkey, and you and your arteries will be glad you did. This is a no brainer. Traditional maple syrup contains SO MUCH SUGAR. Either dress your pancakes or waffles up with fresh berries, or buy Walden Farms syrups.. they have pancake (my fav! ), maple walnut (my #2! ), chocolate, strawberry, blueberry, and caramel syrups! Opt for a lighter and less fattening sauce by using canned diced tomatoes, or better yet, Walden's 0 calorie sauces. They have alfredo, tomato and basil, and garlic and herb.. YUM! This is another no brainer.. salad dressings are laced with tons of sugars and fats and we often underestimate how much we really use. Leave out the excess calories and opt for fresh salsa or Walden Farms' dressing! I love dressing up my salads with pico de gallo, salsa and a pinch of lime with a dash of balsamic vinegar. Another option is Walden Farms, which is a great company that makes a variety of different dressings that are super tasty, contain no fat or sugar, and are a whopping 0 calories!! Ketchup is surprisingly loaded with sugar and let's be real.. no one only uses 2 tablespoons. Back in my soccer days when I would come home and eat half the bag of frozen tater tots, I probably used close to 1/2 cup of ketchup (135 calories and 26g of sugar.. ew!!). Opt for hot sauce, Walden Farms 0-calorie ketchup, or if you don't want to give up ketchup, go for the reduced sugar option. Whenever I ask people how much protein they *THINK* they are consuming per day, their usual response is... UMMMM I HAVE NO IDEA!?!?!? This usually means that they are NOT getting enough protein per day in order to maintain lean muscle muscle and to see strength gains in the gym, if that is your goal. According to the Centers for Disease Control and Prevention, the recommendation for sedentary individuals is 46 grams of protein per day for women and 65 grams of protein per day for men.... BUT, read.. that is assuming a sedentary lifestyle, not someone who moves, lifts or trains! So.. how much protein do you REALLY need?? for people maintaining their weight or are in a muscle-building phase, aim for .8-1 grams of protein per pound of bodyweight daily. for people that are dieting, aim higher.. 1-1.5 grams of protein per pound of bodyweight daily. If you don't feel like calculating.. use 1 gram of protein per pound of bodyweight daily as a baseline. Example: say you weigh 130lbs, you want to try to get 130 grams of protein! 130 grams is probably more than you think, BUT.. good news!! The best part about adding more protein to your diet is that it satiates us the most, meaning you will feel fuller longer and it will reduce your cravings. A chicken breast the size of your fist has roughly 30 grams of protein.. so you'll need at LEAST 4 of those. But obviously, we don't want to eat chicken at every meal, so here's where my high-protein recommendations come in handy! Below is a list of easy and delicious on-the-go snacks to help you hit your recommended protein intake! Homemade Protein Treats: I will be adding a blog post on my favorite homemade recipes! Green smoothies are a great way to jam pack tons of your daily veggies into a delicious, super easy on-the-go smoothie or smoothie bowl. For those of us who struggle to get in your vegetables, this is totally my go-to solution! It provides tons of plant-based nutrients and is a great post-workout snack, as it contains simple carbs (fruits) and fast digesting protein (whey). I usually have green smoothies after my workouts on the weekends, because I like eating them out of bowls and adding tons of toppings like fruit, coconut flakes, chia seeds, granola, cereal, etc! Recipe for my green smoothie base is below. Put all in ingredients in a magic bullet or mixer of choice. Blend on high and pour into bowl. PROTIP: add the ingredients in the magic bullet in the order I listed them.. so the frozen stuff goes in first! That way, when you tip it upside down, the ice is the last to mix, and doesn't clog up your mixer. OKAY OKAY I know what you're thinking.. I don't want veggies in my oats!! But...when I'm eating lower carb, this is my GO-TO recipe that ensures that I stay full for hours upon awakening! 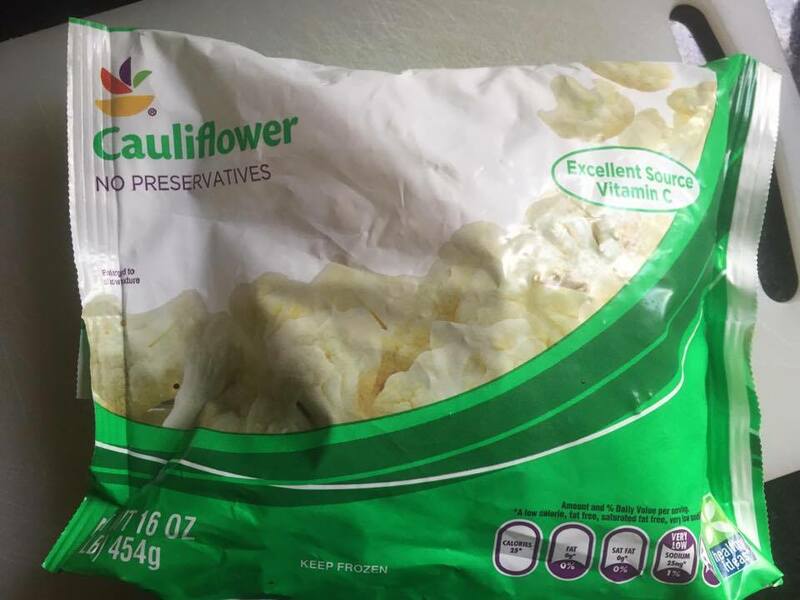 You cannot taste the cauliflower AT ALL because it's one of those weird veggies that has no taste anyways. 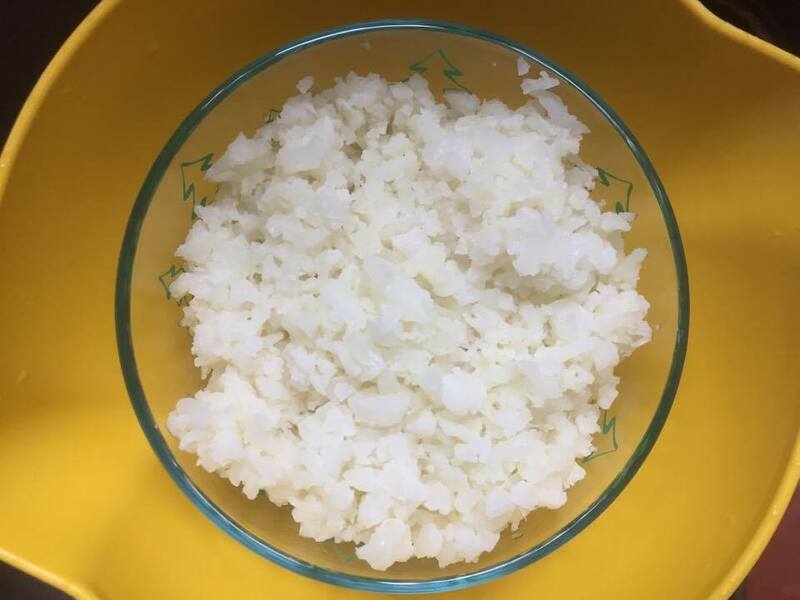 Essentially you sub out a little of the oats, which are a carb-dense grain for riced cauliflower, which are comprised mainly of water and fiber. It gives you MORE food for LESS calories.. it doesn't get better than that! Now you can truly savor the flavor of the ooey gooey oat goodness and not worry about feeling as though you are indulging. Mix pre-cooked riced cauliflower with chia seeds and oats in a microwave-safe bowl. Add just enough water to cover the ingredients and heat in the microwave for 60 seconds. Stir in protein powder and spices of choice, adding water/milk as necessary to get right texture. 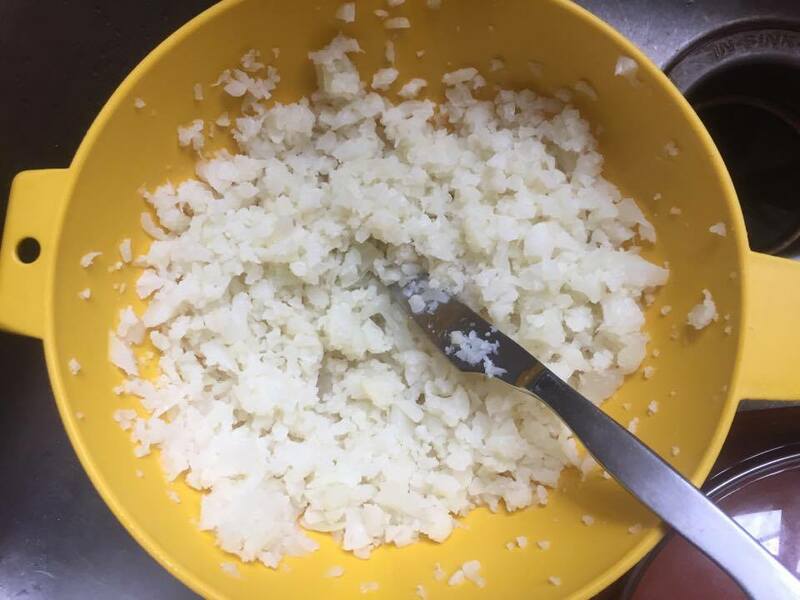 Mix all ingredients except toppings in a mason jar or some other air tight container and shake well in order to remove clumps. Refrigerate overnight (or for at least 2 hours). In the morning, open jar, top with goodies, and ENJOY!! fruit: banana, strawberries, blueberries, plums, etc. For chocolately oats, add in 1 tbsp of cacao powder and use chocolate protein powder. For cinnamon sugar oats, add in dash of cinnamon and dash of stevia and use vanilla or cinnamon swirl protein powder. For pumpkin pie oats, add 1/3 cup of pumpkin puree, dash of cinnamon, dash of stevia, and use vanilla protein powder. Today's topic is.... you guessed it.. post-workout nutrition!! The post workout meal is probably the most important meal of the day. It should contain carbs and protein, and avoid fats which slow the digestion process. Immediately after your workout, your muscles are depleted of the stored form of carbohydrates, called glycogen, which is what fuels your workouts and your energy throughout the day. To refill your glycogen stores after your workout and accelerate muscle growth, you want to rely on fast-digesting carbs and a fast-digesting protein like whey protein isolate, which basically acts as a shuttle to your growing muscles! Throughout the day, it is best to eat lower glycemic, complex carbohydrates because they take a little longer to digest, making you feel fuller for longer, don't initiate an insulin spike, and don't raise blood sugar as quickly as simple sugars. But post-workout, the exact opposite is true. After a workout, it is critical to get the carbs (and protein) to the muscle cells as fast as possible, so you want simple, fast-digesting carbs paired with an appropriate amount of protein. Since a whole-food meal typically takes more time for prep and digestion, it's not your best choice in terms of an immediate post-workout meal, soooo I'd suggest having your "real dinner" an hour or so after your post-workout food. Immediately after your workout, I'd suggest fast digesting (whey) protein paired with simple carbs. What I personally would suggest and is definitely the easiest and most convenient.. is bringing a shaker bottle to the gym with you. Put a scoop of flavored protein in it (25 grams) and unflavored powdered dextrose (4-6 tbsps), shake and BOOM! Easy peezy!! Then an hour or so later, eat real dinner! If you don't want to go that route and want "real" food after you workout that's okay too, just not as "optimal" meal. You can feel free to pair the other recommended sources... turkey with a bagel, white rice and chicken, cereal with protein shake poured over it, etc. and that will do just fine. Sometimes I do the shake, sometimes I do the food. It's just totally dependent on what my plan is after the gym! Remember, macronutrient timing and supplements are important but not the most important thing in the scheme of things. Calories-in vs. calories-out as well as the quality of your food and training always takes precedence in weight loss and body recomposition. If you find yourself in a situation where you can't get your hands on the suggested foods once in a while, don't sweat it. 80/20 all the way!